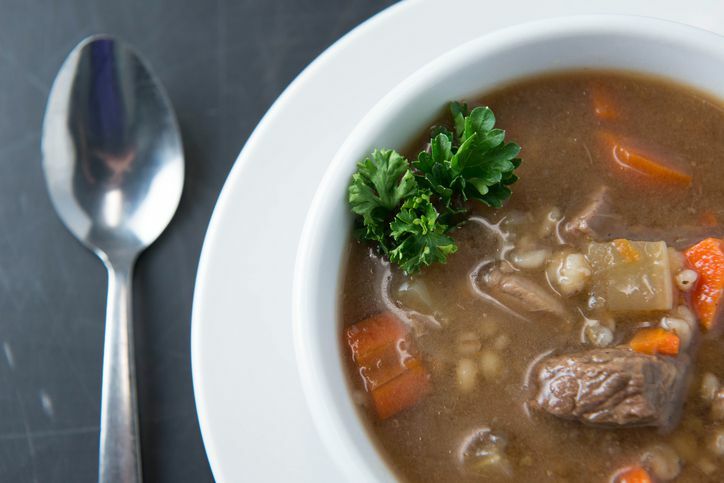 Read the Barley in Beef Vegetable Soup discussion from the Chowhound Home Cooking, Soup food community. Join the discussion today. 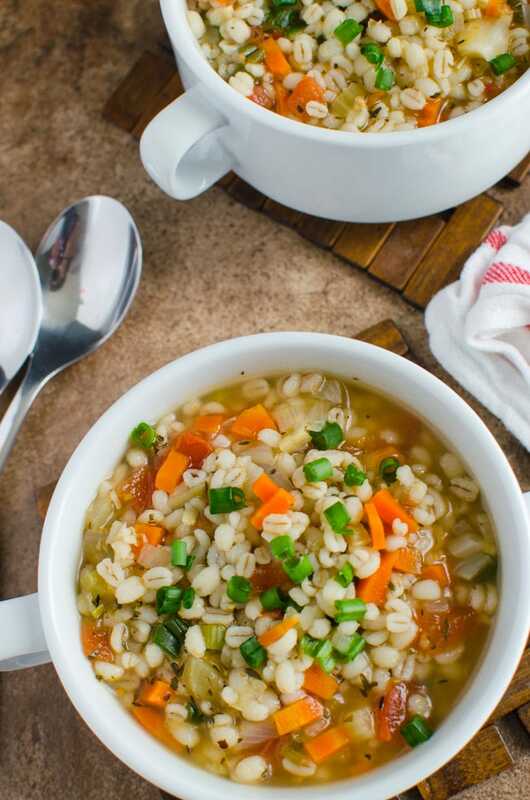 Read the Barley in Beef Vegetable Soup discussion from the Chowhound Home Cooking, Soup food community. Join the discussion today. Chef Eric Ripert Talks Caribbean Cooking, Adventurous Eating, and His Prediction for 2019�s Biggest Food Trend. �... Heat oil in a large saucepan and saute onion until soft. Add paprika and chilli flakes and saute for 1 minute. Add vegetables, stock, water, tomatoes, kidney beans, barley, tomato paste and salt. 11/10/2011�� Heat oil in a large saucepan over medium heat. Add onion, carrot, bacon and celery stalk. Cook for 10 minutes or until onion has softened. Add tomato, zucchini, stock powder and 6 cups cold water. Bring to the boil. Add barley�... Heat oil in a large saucepan and saute onion until soft. Add paprika and chilli flakes and saute for 1 minute. Add vegetables, stock, water, tomatoes, kidney beans, barley, tomato paste and salt. Heat oil in a large saucepan and saute onion until soft. Add paprika and chilli flakes and saute for 1 minute. Add vegetables, stock, water, tomatoes, kidney beans, barley, tomato paste and salt. Dice all vegetables; Saute vegetables in oil until tender, about 5-7 minutes. Add garlic, salt, and pepper and heat for one minute more. Pour in the chicken or ham broth and bring to it to a boil.